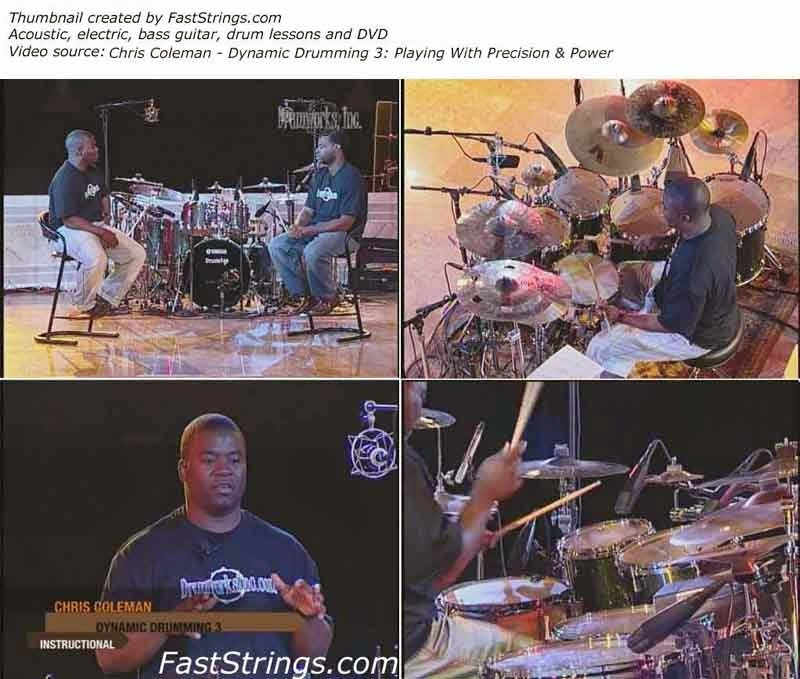 This 3rd volume of Dynamic Drumming features Chris Coleman’s A-B-C practicing method in addition to numerous, skillful exercises. A bass and drum segment demonstrating how to lock with a bass player or keep it in the pocket. Plus an in-depth interview with Chris Coleman and his breathtaking solo performance! Hear the live band performance with some of the industries top musicians like: Eddie M. (Sax) formerly of Prince & the Revolution, Shelia E., Yolanda Adams, and others; Marvin Thompson of the famous Mo Horns (Bone) he has played with Fred Hammond, Bishop T.D. Jakes, Destiny s Child, and more; Raymond McKinley (Bass) currently with Tower of Power; and Natalie Ragins (Keys) who has performed with Mary-Mary, Kurt Carr, and Kim Burrell. Chris is an honors graduate from the esteemed Drummer’s Collective in New York City. After graduation, Chris returned to his hometown of Saginaw, Michigan to start full-time ministry and the CRC Drum and Bass Institute, as well as spending time in Cleveland on the instructional staff at Christian Music Academy. In 2001, Chris was honored to win 1st place in the National Drum Competition sponsored by Guitar Center, which hosted 30,000 drummers. I’m brazilian music… very good site!! Chris Coleman is the Best!!! Fantastic! Hey, much appreciation for putting this up. This is really awesome. Now I just wanna ask if you had the supporting/practice materials for this DVD. It’s not included in the uploads. And it would be really great if you can help me with that. Again, thanks and God bless FastStrings! very helpful site!thanks man…God blesss you..